Even while slavery existed, Americans debated slavery. Was it a profitable and healthy institution? If so, for whom? The abolition of slavery in 1865 did not end this debate. 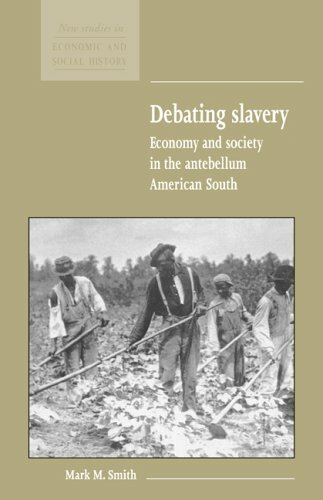 Similar questions concerning the profitability of slavery, its impact on masters, slaves, and nonslaveowners still inform modern historical debates. Is the slave South best characterized as a capitalist society? Or did its dogged adherence to non-wage labor render it precapitalist? Today, southern slavery is among the most hotly disputed topics in writing on American history. With the use of illustrative material and a critical bibliography, Dr Smith outlines the main contours of this complex debate, summarizes the contending viewpoints, and at the same time weighs up the relative importance, strengths and weaknesses of the various competing interpretations. This book introduces an important topic in American history in a manner which is accessible to students and undergraduates taking courses in American history. Slavery remains one of the most hotly disputed topics in American history. Students of American history will find this a concise and accessible introduction to the numerous debates and viewpoints in this complex topic, and are given the chance to assess the importance, strengths and weaknesses of the various interpretations.